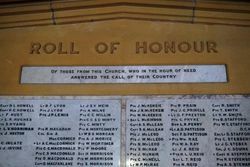 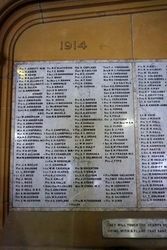 The honour roll commemorates the men and women from the church who served in World War One. 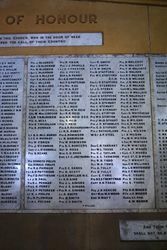 Men from H.M.A.S. 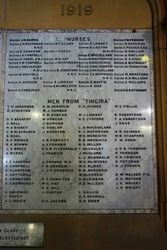 "Tingira", the Naval training ship from 1911 to 1927 are also listed. 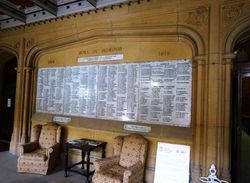 A large marble honour roll on ornate stone panel, located within the church vestibule. 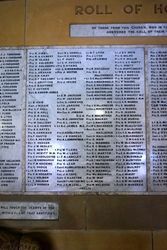 The marble is Australian and finished in gold lines.